Cosmoscow VIP Preview, Vernissage, and a three-day public programme of Cosmoscow saw the record number of 70 participants, growing number of 19 000 visitors and rewarding sales results across Russian and international exhibitors. In order to attract collectors, Cosmoscow keeps including works at every price level. 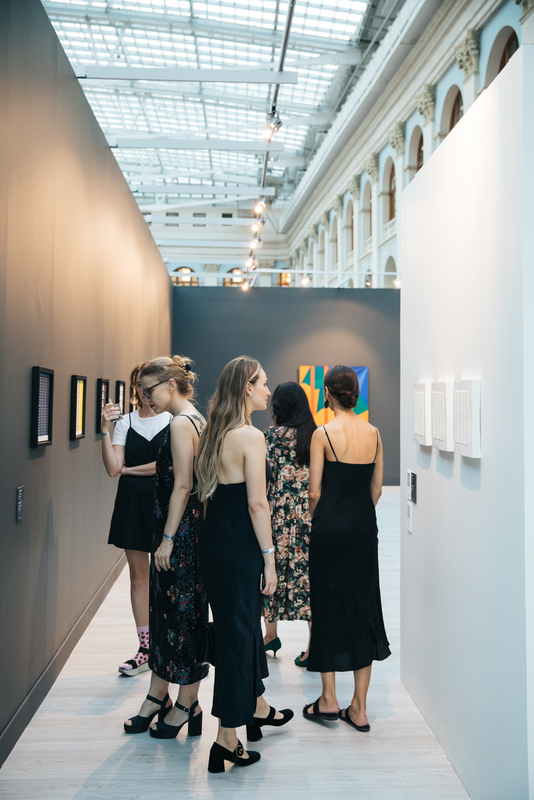 Remaining the only international contemporary art fair in Russia and CIS, Cosmoscow continues fostering local art market by supporting young and emerging artists and gallerists. The next Cosmoscow fair will take place in September 2019. “Once again, Cosmoscow proved that the Russian market of contemporary art is gaining momentum. We are happy to receive positive feedback from galleries, collectors and the general public. With a number curated projects, non-commercial initiatives, educational and parallel events, it is also extremely gratifying to see that now Cosmoscow is much more than just an annual contemporary art fair. I want to thank all our partners, including Qatar Airways, Credit Suisse, Audi, Beluga, and St. Regis Moscow Nikolskaya,” said Margarita Pushkina, Founding Director of Cosmoscow International Contemporary Art Fair. Cosmoscow 2018 main programming was divided into 7 sections. Galleries section, curated by the Fair’s Expert Committee members, represents both well established and new Russian and international galleries with their own exhibition space and proactively promoting their artists. Focus section welcomed contemporary art galleries from Belgium. 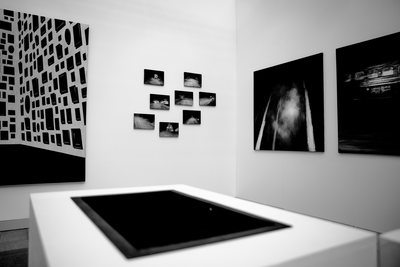 Frame section, also curated by the Fair’s Expert Committee members, represented nomadic galleries with no permanent space. Editions section featured galleries, which deal with prints and multiples. Design section, curated by Kristina Krasnyanskaya, showcased galleries dealing with contemporary design. 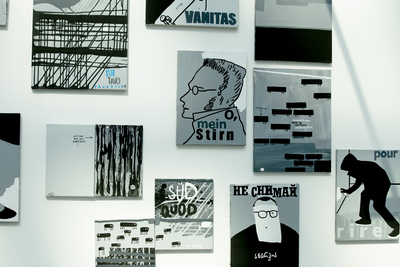 Two more sections were curated by Elena Selina. Past Present included works of recognized contemporary Russian art masters, whose names were relevant in the past and have not lost their artistic value in the present. As part of the Projects section, Cosmoscow participants displayed one or several large-scale art objects and installations. “It was rewarding to see Cosmoscow audience and the level of its prowess. Compare with my first to Moscow fair back in 2011, it's night and day. And the intensive educational programme continues to lay a solid foundation for the future. It's a pity that I am not a visitor - I would very much like to spend a few enlightening days at this festival of contemporary art. There is a feeling that my colleagues are happy, and this is the most important thing for me, as a gallerist,” said Olga Temnikova of the Temnikova & Kasela, member of the Cosmoscow Expert Committee. For the second consecutive year, one of the exhibitors is awarded the Cosmoscow Stand Prize. 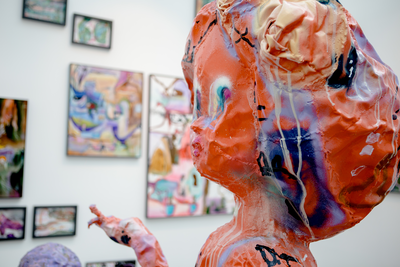 This year the victory was shared by two galleries – HLAM and Osnova Gallery. This year members of the jury include Carlos Durán, Founding co-director of LOOP; Anastasia Shavlokhova, an independent art curator and a founder of the Winzavod's Philosophy club; Alexandra Danilova, deputy head of the Department of 19th and 20th Century European and American Art of the Pushkin State Museum of Fine Arts; Valentin Dyakonov, art historian, art-critic, curator. The winners will get an opportunity to participate in Cosmoscow 2019 for half of the price. “My impressions of the Fair are good. One more step forward is made. I see a huge interest in contemporary art among collectors and viewers, which means that we are on the right track,” said Elena Selina of the XL Gallery, member of the Cosmoscow Expert Committee, curator of the Projects and Past Present sections. This year Qatar Airways became the main partner of Cosmoscow. At the Fair it presented the exhibition of contemporary Qatari art at Gostiny Dvor called “What we are made of” that was held within the Year of Culture Qatar-Russia 2018. The exposition brought together a curated selection of Qatari artists from different generations, showcasing the remarkable historical development of the artistic avant-garde and progressive sensibility of artists in Qatar. They question issues such as the loss of tradition and collectivity, rising consumerism, isolation from nature and society, women’s issues and even comment on the current political state of affairs in the Gulf. 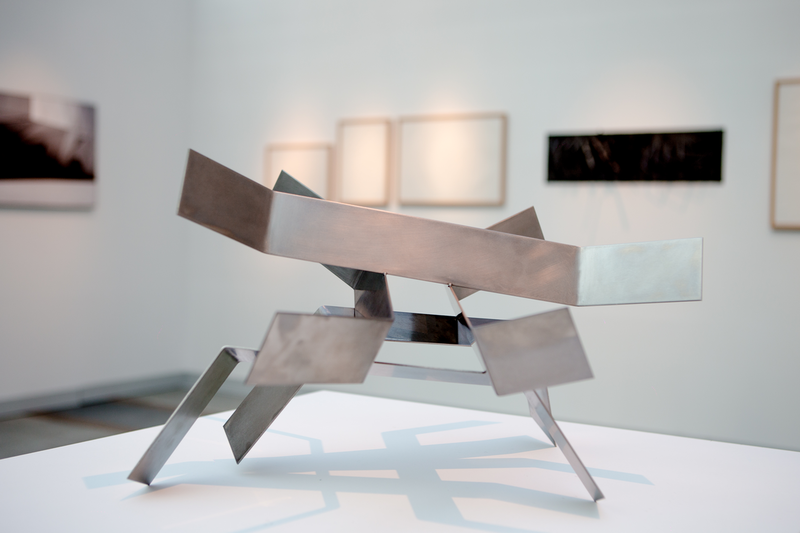 The exhibition was curated by Reem Fadda, one of the leading experts in Middle Eastern art. There were two panels as a part of the public educational program: each hosted multiple spokespersons from Qatar and Russia, and provided the opportunity to give a voice to the museum directors, and the artists participating in the exhibition. “Art is the first step to mutual understanding and bringing together two different cultures, especially so authentic as the Russian and Qatari ones. This is what helps us to deliver the vision of the world which could be easily perceived by anyone despite geographical location or historical differences. Such projects as “What we are made of” exhibition make cultural interchange between two countries possible. We would like to thank Qatar Airways who made this outstanding contribution to the program of the Year of Culture Qatar-Russia 2018,” – said Ambassador of the State of Qatar to the Russian Federation, His Excellency Fahad bin Mohammed Al-Attiyah. Qatar Airways, the main partner of Cosmoscow for the next 5 years, created a unique Qatar Airways lounge. The visitors of the lounge had an opportunity to participate in the competition and win business class tickets to their dream country. 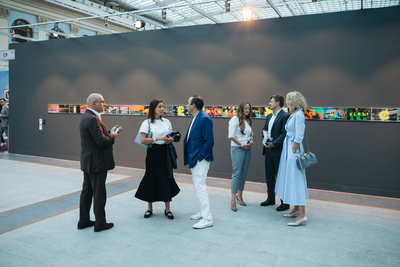 Credit Suisse has been the Strategic Partner to Cosmoscow since 2015, and the bank carries on supporting the fair in its mission to develop the contemporary art market in Russia and to make Russian artists more visible on the international level. At the fair opening, Credit Suisse and Cosmoscow announced the laureate of their joint award for young artistic talent in Russia. The Credit Suisse Cosmoscow Prize for Young Artists was introduced in 2016, and this year Asya Marakulina from Saint Petersburg was selected the winner by the international jury in a two-step process. She will receive a financial grant, mentorship support, art trip to Switzerland and opportunity to participate in art residency at the PROGR Art Center in Bern. Asya is an artist, illustrator and production designer of animated films. She has already had 9 personal exhibitions in Moscow and Saint Petersburg, and also participated in many group exhibitions and festivals in different Russian cities, Stockholm and Helsinki. In her artistic practice, Asya seeks to bring out some of the common factors which are applicable to the nature and human beings. At Cosmoscow 2018, she presents works from the Passages series. 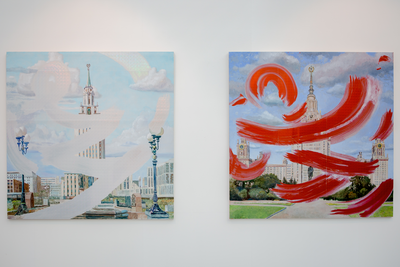 During the fair Credit Suisse acquired three works by Asya Marakulina from the “Hidden Seams” project: “Meeting Room”, “Playroom”, “Former Room” for the bank’s Moscow office. “We had very strong nominations for this year's Prize, and it wasn't an easy choice, which is a testament to a very rich contemporary artistic culture in Russia”, said Andre Rogger, head of Credit Suisse Art Collection. “I congratulate Asya on her win, and I hope that the award itself and the art residency in particular will expand her international network and inspire her for new projects”. Established in 2017, the Foundation provides systematic support to the development, promotion and representation of contemporary Russian art and a new generation of authors through exhibitions, educational and patronage initiatives. 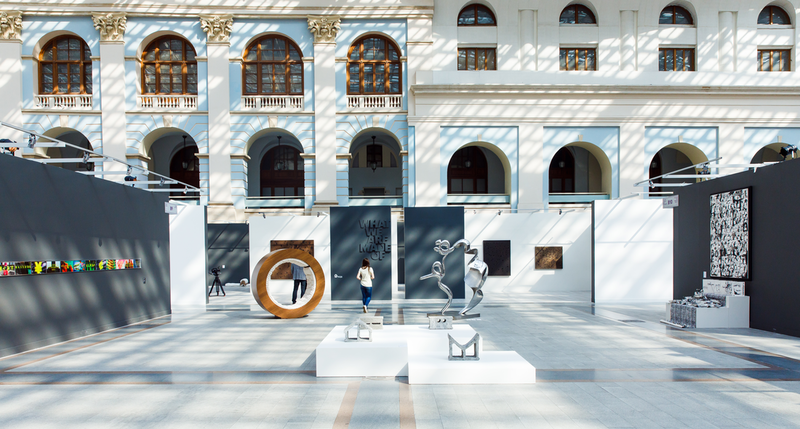 As part of Cosmoscow 2018, the Foundation presented a number of special projects commissioned for the Fair, including projects by Cosmoscow 2018 Artist of the Year – Taus Makhacheva; Cosmoscow 2018 Institution of the Year – Smena Center of Contemporary Culture (Kazan); the winner of the 2017 Ruinart Art Patronat grant – Alexey Martins. Cosmoscow 2018 also featured the first public presentation of a new collection of media art formed by the Pushkin State Museum of Fine Arts, Cosmoscow 2018 Museum of the Year, as a part of Pushkin Museum XXI programme. As part of partnership with the Pushkin State Museum of Fine Arts, 2018 Museum of the Year, Cosmoscow announced the donation of 5 works by 2018 Artist of the Year Taus Makhacheva for the new collection of media art formed as a part of the Pushkin Museum XXI programme. All of the works were presented at the Museum’s special pavilion at Cosmoscow. They include "Carpet" (2006), "Karakul" (2007), "Rekhen (avar language flock)" (2009), "Endeavour" (2010), "Baida" (2017). The works are donated to the Museum with the support of the Cosmoscow Foundation. As part of Cosmoscow 2018, the longstanding partner of the fair, Beluga brand presented its new caviar concept and a special collaboration with the famous artist Alexander Kosolapovas – the large-scale "Vodka and Caviar" art object decorated with images of caviar and Soviet caviar cans reinvented by the artist along with the stylized Beluga logo. The Beluga brand also presented branded cocktails with Beluga Noble vodka at the VIP Lounge area of the Fair, where the Beluga bar made in the form of caviar can was located. Cosmoscow announced the prolonging for the second year of the Ruinart Art Patronat established last year by the Cosmoscow Foundation for Contemporary Art. The Ruinart Art Patronat was established in 2017 to provide support and promotion of contemporary Russian artists by means of creating favourable conditions for their artistic development and fulfillment. Specially commissioned Work of the last year's winner Alexey Martins is present at Cosmoscow 2018. 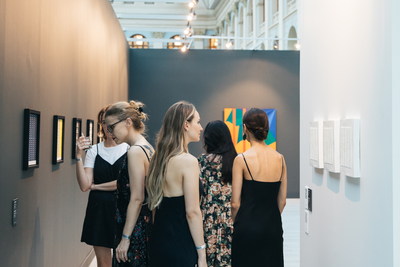 This year, Collector’s Eye contemporary art exhibition of private loans, which takes place on an annual basis as part of Cosmoscow, took an unusual turn with a new concept. The FOMO SAPIENS project run as a pop-up center of cognitive practices representing works of Russian and international contemporary artists. The FOMO SAPIENS project, curated by Maria Kramar and organized by Smart Art, provided Cosmoscow guests with an opportunity to get into the privacy of their own minds and draw attention to their inner selves. COSMOSCOW TALKS EDUCATIONAL PROGRAMME AND COSMOSCOW FORUM 2018 "WHAT'S NEXT?" 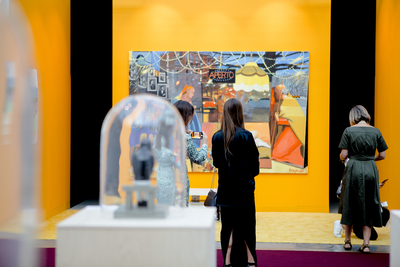 Featuring 11 discussions, talks, and performances, the programme drew significant attentions among Cosmoscow guests during all three days of the Fair. Cosmoscow Talks programme consisted of 3 parts. The first part was united by a common theme – "Nature", which can be traced in various interpretations in Fair's programming. The second part was dedicated to the exhibition of Qatari artists featuring international experts. The third part was presented by Cosmoscow 2018 Museum of the Year. The Fair's educational programme was enhanced with the Cosmoscow 2018 Forum "What's next?" featuring 7 discussions about the future of such important spheres of culture as contemporary art, fashion, design and mass media with the participation of leading specialists in the corresponding fields. This year's "Modern City. Kids in the Сity" programme was developed by the Moscow schools of arts allowing its participants to create an "ideal city" and fill it with the objects and emotions that we lack in our everyday life. As part of the Fair's Parallel Programme, Cosmoscow Automobile Partner Audi presented Natalia Alfutova’s large-scale RABBIT HEART installation at the Audi City Moscow innovative showroom on Nikolskaya Street. As part of the partnership, Audi also presented brand new Audi A7 Sportback at the main venue of the fair at Gostiny Dvor. 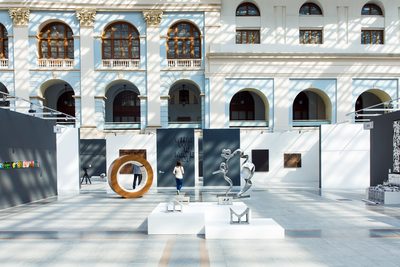 Cosmoscow Parallel programme also featureds an exhibition of sculptures by Ivan Gorshkov in the patio of the long-standing partner of the Fair, St. Regis Moscow Nikolskaya (12, Nikolskaya S).